Calculate the magnitude of all the vertices, the length of all sides, the perimeter, and the area of any triangle. This tool costs $0.99 or 0.79€, and the user would have to purchase it by clicking on the "AddOn" button. In case of a circle, report the area of arc. 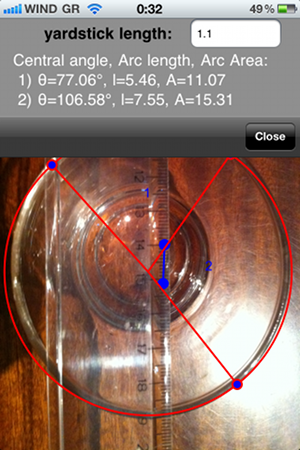 If we are interested in calculating the length of many objects (in a single picture), we can click on the "+" button to pinpoint two more points that define the object of interest. 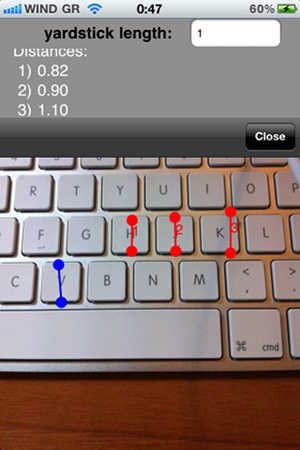 Each object is numbered, and when we click on the "Calculate" button, you see the length of each object. 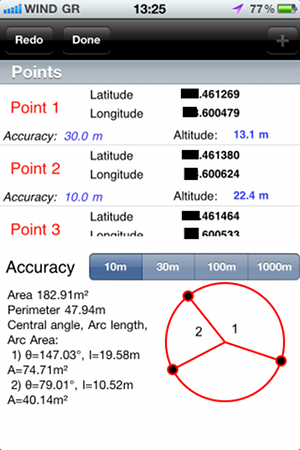 In addition to the calculation of the radius, area, perimeter, arc length, and central angle, now this tool reports the area of that arc. With the new tool of the application, we can calculate all the vertices, the length of all sides, the perimeter and the area of any triangle. It is very easy to use this new tool. Initially, we need to pinpoint two points to indicate the length of the yardstick (the points in blue colour), and then we pinpoint 3 more points. 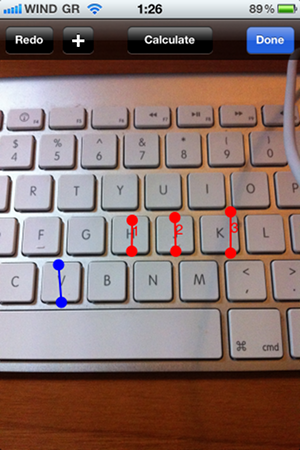 These points are the vertices of the triangle. 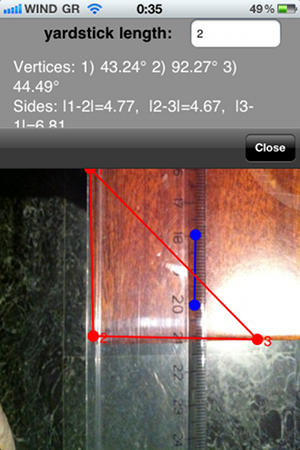 Once we give the length of the yardstick, iPinpoint will calculate the magnitude of the angle of each vertex, the length of each side, and report the area and perimeter of the triangle. 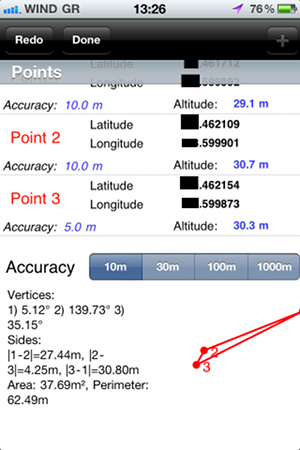 As before, once you pinpoint 5 points you can change their location by dragging them.